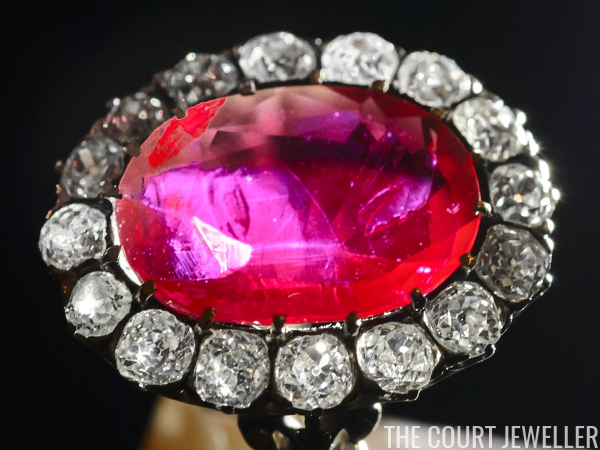 Lots of royals have ruby rings in their jewelry collections, but today's ruby ring, which once belonged to Queen Marie-Jose of Italy, is one of the largest and most beautiful ruby rings ever to grace a royal hand. 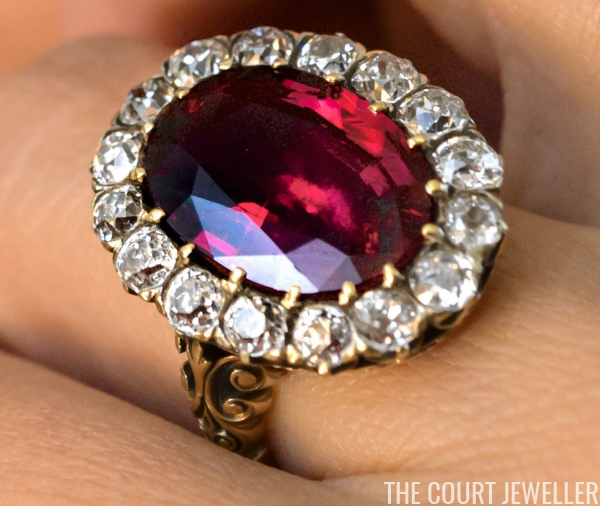 The ring was made in the late nineteenth century; it features an oval-shaped, 8.48 carat Burmese ruby set in a cluster of cushion-shaped diamonds. The ruby is an example of a "pigeon's blood" ruby, one of the most valuable types of rubies. In January 1930, the ring was one of the presents given to Princess Marie-Jose of Belgium on her wedding to Crown Prince Umberto of Italy. (You can read our extensive post on their royal wedding over here.) The giver was Tammaro de Marinis, an Italian scholar and researcher who became one of Marie-Jose's friends. Umberto and Marie-Jose eventually became the last King and Queen of Italy; he reigned for about a month in 1946. 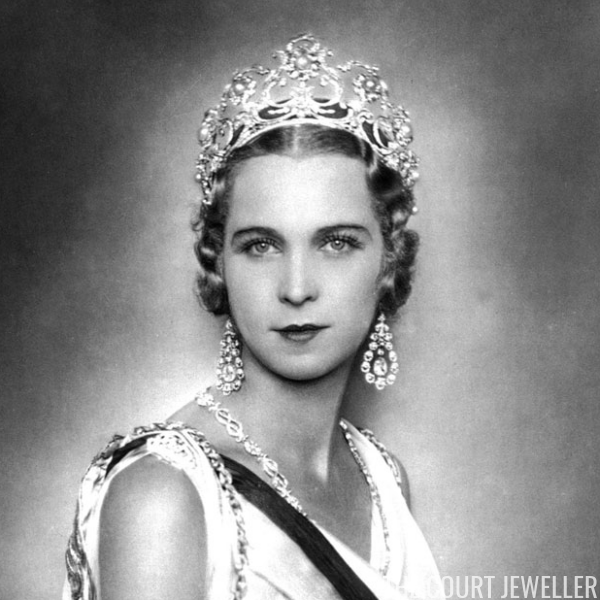 Marie-Jose was photographed wearing the ring both before and after her husband's short tenure as monarch. 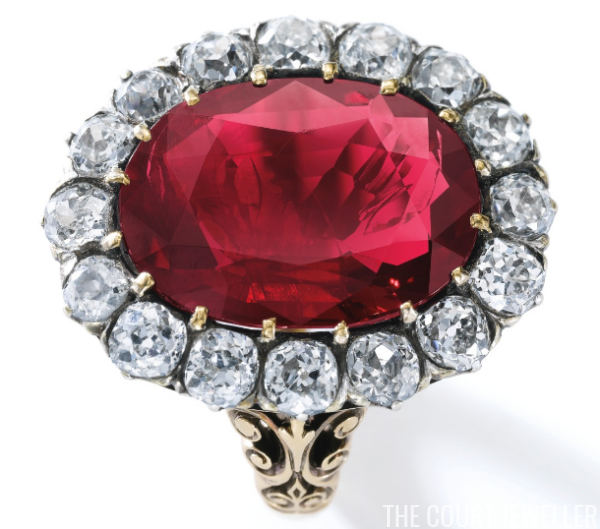 In 1997, four years before Marie-Jose's death, the ruby ring was offered for sale in an auction at Sotheby's in Switzerland. It was sold again two years later at Christie's in Geneva. Last November the ring was offered for sale once more, this time at Sotheby's in Geneva. The auction estimates for the piece ranged from $5.8 to $8.7 million, but when the auction was over, the piece failed to sell.